It can take years to garner the strength to leave an abusive relationship, particularly if you have an abusive partner with money and political power. 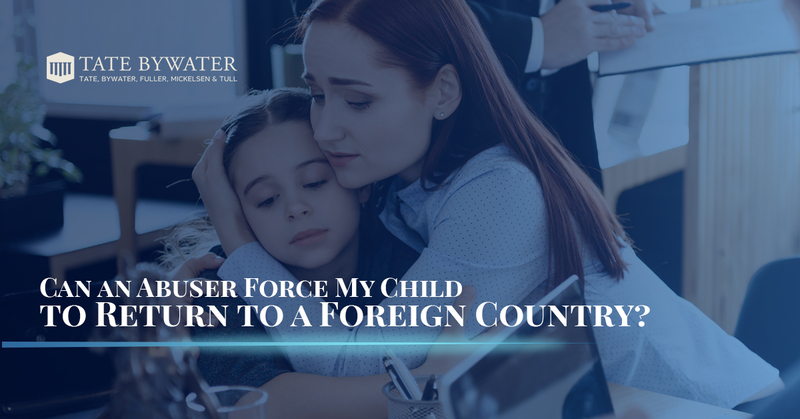 In foreign countries a partner and child subject to physical abuse from the other partner often seek refuge in the United States from such abuse. Our country’s immigration laws may allow qualifying individuals to petition for asylum where they are subject to abuse or the threat of abuse in their home country. If a parent succeeds at obtaining asylum for herself and her child to escape such abuse does the other parent have any right under law to demand the return of the child? The answer is maybe. The parent can file a petition under the Hague Convention of the Civil Aspects of International Child Abduction (“The Hague Convention”) to ask the Court where the child lives to order the child’s return. Though this may seem a rare occurrence local courts throughout the United States hear these types of cases every day. In fact, the U.S. State Department has an entire office, the Office of Child Affairs, dedicated to dealing with these issues. The Hague Convention is an international treaty meant to prevent the kidnapping of children by one of their parents and spiriting them away to a foreign county. The objective of the treaty is to “secure the prompt return of children wrongfully removed…, and to ensure the rights of custody …under the law” of the child’s original home country. (Article 1) For that reason, The Hague Convention Articles require a speedy adjudication and return of children wrongfully removed, usually within 6 weeks. (Article 11). It is the burden of the Petitioner to show, by a preponderance of the evidence, that the removal was wrongful. (Coe v. Coe, 66 Va. App. 457, 473, (Va. App., 2016)) Where the removal was wrongful, the child must be returned unless an exception to return applies. While the treaty’s objective of preventing kidnapping is a laudable goal, it can be prone to abuses committed under the auspices of law, such as abusers and persecutors forcing the return of their victims. Because of that, various Articles of The Hague Convention prevent the return of the minor child to protect them, even if the original removal is determined to have been wrongful under the law. This is in line with the objective of the treaty, which is to protect children. (Convention Preamble). The strongest protections come from Article 12 and Article 13. In Article 12 The Hague Convention allows the Court to decline to enter an order of return if more than one year has elapsed since the child’s removal and “it is demonstrated that the child is now settled in its new environment.” What constitutes “well settled” is highly subjective and largely left to the discretion of the court. If the child is enrolled in school, has friends or family nearby, is attending a church or playgroup regularly, this may factor in to the court’s decision along with the age of the child. Being well settled, however, does not guarantee that the child will not be ordered returned. Article 12 says a court “may” refuse to return the child; they’re not required to. Making the right arguments to establish that the child is well settled in the new environment is vital to prevailing under Article 12. The abused parent and child must provide enough evidence to the judge to show the abuse and persecution they suffered and are likely to suffer if returned. Further, some countries are inherently dangerous to young children. It may be useful to use reports by the United States Department of State, such as its annual Country Report on Human Rights Practices, or international reports prepared by foreign governments or respected organizations like the International Red Cross, to show that the return of the child would expose him or her to physical and psychological harm, or be otherwise placed in an intolerable situation, both due to general country conditions and the petitioner’s actions specifically. 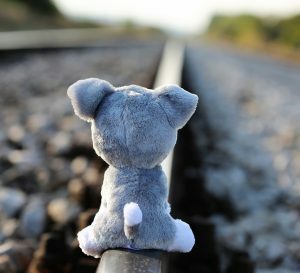 The Hague Convention can be a great resource for parents who seek the return of a child wrongfully taken away from them, but it can also be a burden to a parent seeking to escape an abusive spouse to protect the child from the harmful home situation. To face this type of case you should look for an attorney with experience in family and international law. The attorneys at TATE BYWATER have the experience to guide you through this process.